Pinch of This certainly caught my eye at the Sandown Food Festival and is not a company I have come across before. So who are they? 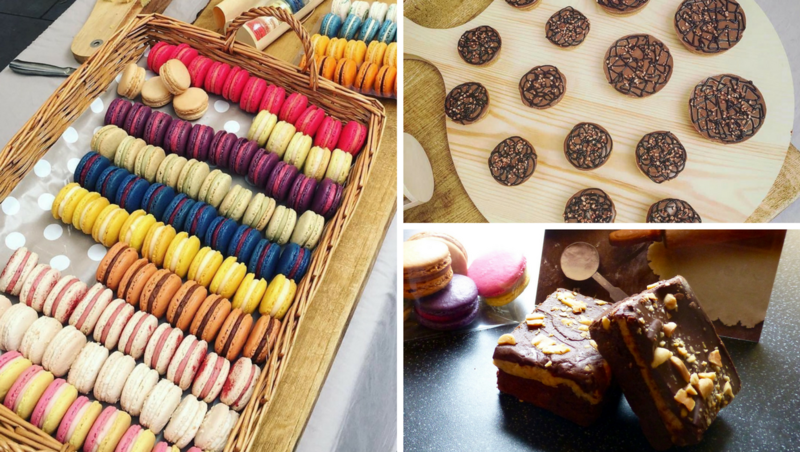 Well Mark & Lucieanne are from Surbiton and are offering us exceptionally delicious gluten free treats in the form of brownies, flapjacks, cookies, cupcakes, quiches and French macarons, that taste as good as regular baked goods. Gluten free gets a bit of a bad rep for producing brick like, heavy foods and usually pretty obvious that it is gluten free. However the ethos of Pinch of This is if it tastes gluten free then it isn’t going on the menu. A good ethos to have if you ask me. Brownies are the epitome of chocolate indulgence for me and a brownie done well can really turn your day around. Macarons are not something that I have very often, primarily as I don’t usually come across them that often. There was quite the variety on offer on all parts and not just your usual combinations either so naturally I opted for both brownie and macaron! Every macaron looked beautiful and certainly caught my eye. 5 macarons cost me an extremely reasonable £5.00, the difficulty is choosing which ones. Deep purple with a vibrant pinky purple centre I don’t usually go for blackcurrant flavoured things. The texture of the macaron here was more like short textured biscuit than chewy. The blackcurrant flavour was subtle and in now way overpowering and very pleasant. This chap certainly stood out amongst the rest of what was on offer. Mimicking rhubarb and custard in colour the initial hit was sharp tangy rhubarb which developed into a smooth fresh rhubarb as I munched on. The macaron was spot on, chewy, soft and the ratio of shell to filling was just enough. Such a perfect combination and yet so underused. Not only do these look pretty they tasted delicious. Unlike the others that had more of a creamy centre this had more of a sticky jammy middle which was lovely. The lighter more flowery elderflower certainly came through more making this one light and fresh dainty macaron. Peanut butter, I couldn’t have been more excited about this one if I tried. I have never come across a peanut butter macaron and my prayers had been answered because holy smokes this was amazing. Thick and creamy peanut butter sandwiched between a slightly chewy macaron shell, I didn’t want this to end. The peanut butter was natural and as if you had taken a spoonful straight out the jar, the flavour was spot on and is a peanut butter addicts dream! Pass me a box of them pronto. Rich chocolate brownie smothered in a peanut butter icing topped with a dark chocolate fudge ganache. Hello brownie heaven! Look a the size of these brownies! Look at those layers! Chunky and oh so inviting it wasn’t just the fact it was peanut butter that made me want to dive in, albeit that was a big reason! With a thick layer of slightly fudgy dark chocolate brownie that was both rich and indulgent, it really was a pretty epic brownie layer. Topped with thick and slightly gooey peanut butter it took an already delicious brownie into the heavens above. 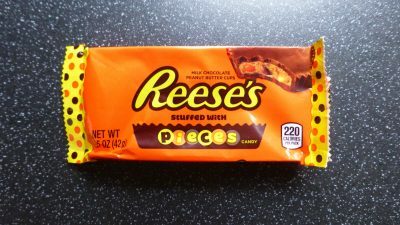 The peanut butter was smooth with a natural nutty, slightly sweet taste to cut through the bitterness from the chocolate. The addition of chunky peanuts on top gave a bit of crunch and texture that was very much needed. The dark chocolate ganache loaded it with even more chocolate, which made this brownie more on the air of chocolate than peanut butter, and to be honest I could do without the intense topping to let the peanut butter shine through a little more. Gosh it’s been quite the feast here. 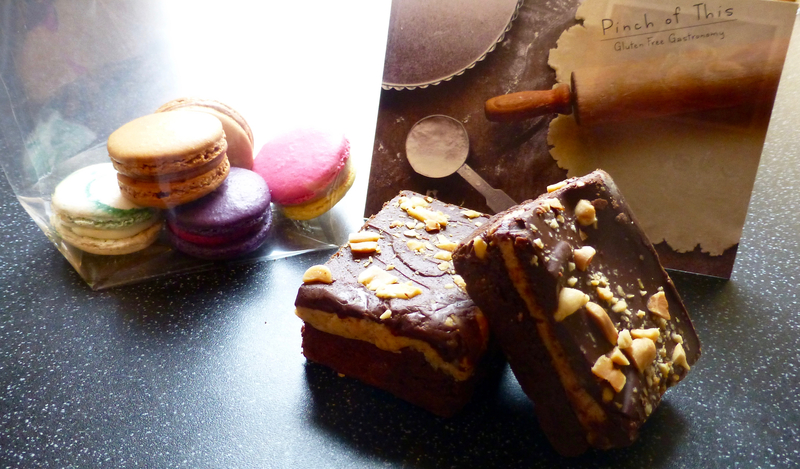 I am pretty blown away by Pinch of This and the delicious treats Mark & Lucienne have created. They have certainly achieved their goal of making scrumptious treats that in no way shape or form could you tell they were gluten free. 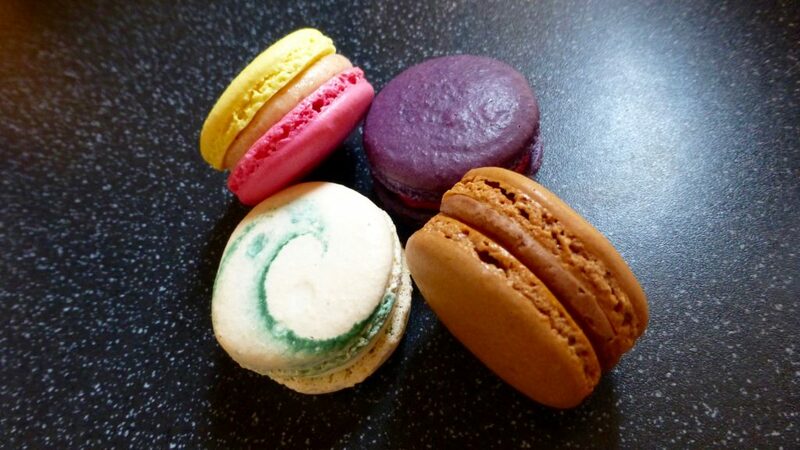 The Peanut Butter Macaron has to be my favourite purely because it’s peanut butter and I have never seen one before. 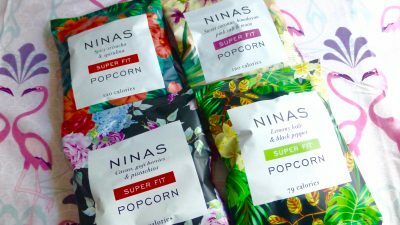 The other flavours were delicious as well and I am eager to try the rest. The brownie was delicious and knocks the socks off some regular brownies, I just wish there wasn’t that ganache on top. You can order online so if you fancy some treats visit their website here. Do you often go to food festivals? As a blogger, do you spend your weekends searching for all the festivals in the country! I’m having a giggle thinking of you pouring over the A-Z frantically at 8am, but of course we all use satnavs now… kinda a shame. Are you looking into reducing gluten in your diet, or was this just to try out of interest?